Paradise Valley Resort has been a nudist resort for over 35 years. We have an interesting past, going from a group of 10 couples with a weekend sun club, to Hidden Valley Resort, a family owned campground, to Paradise Valley Resort, a clothing optional resort. 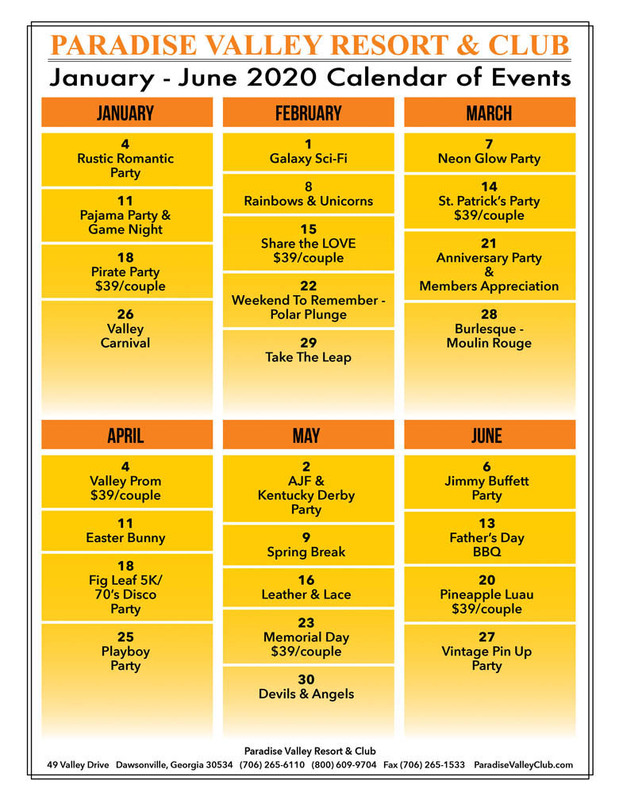 Today, Paradise Valley Resort & Club is so much more than a clothing optional summer resort. We are a community of really cool people who love just being themselves, love to live life the way it was meant to be lived and love meeting new friends. Paradise Valley Resort & Club is like no other community or resort, the people make the club. The members, visitors and staff bring it all together. We want you to be part of our community, to experience the club and get to know us. You can read the history, we know where we came from, where we are at today and where we are going. We want you to be part of the future, please visit with us today. Few businesses survive 37 years, but Paradise Valley has been around a long time. In case you wonder how the club came to be, I will share a little story with you. The facts are as accurate as our members memory. This is how it is told to me. In 1976 a several couples from Atlanta came to Dawson County and leased the property where the resort is located for $1 a year. They unofficially opened a nudist club and called it the Dixie Sun Club. In 1978 a couple purchased the land and officially turned it into a nudist campground and called it Hidden Valley Resort. 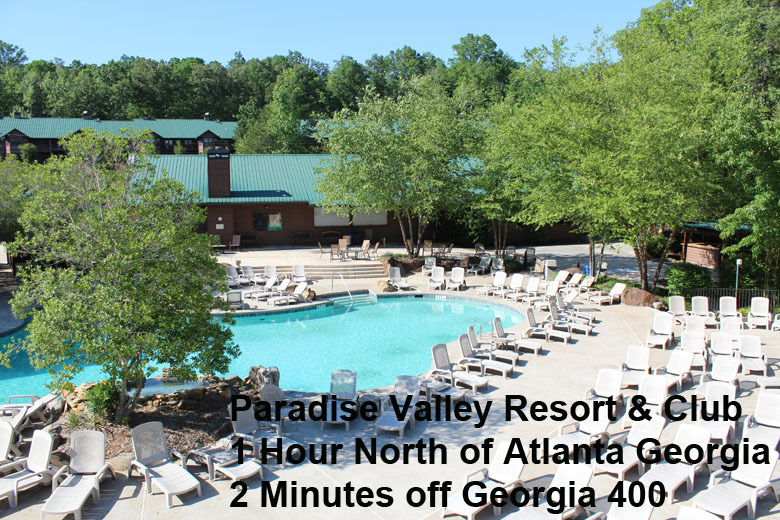 In 2003, they sold the campground to the owners of Paradise Lakes in Florida and the new owners changed the name to Paradise Valley Resort. The owners changed the concept to Clothing Optional. During the next few years, local management of the resort changed several times. In the fall of 2008, we were faced with some of the toughest economic times ever. The resort closed at the end of 2008. In March of 2009, the manager of the resort Jeff, purchased the resort and renamed it Paradise Valley Resort & Club. Since that time, the resort has grown to include additional RV Sites, an apartment building, cabanas, upgraded and renovated motel rooms, platform tents, tiki bar, the Village at Paradise Valley and the members club. In the near future, another pool is planned between the conversation pool and the cabanas. Jeff has several additional improvements planned for the resort including a larger day spa, general store, indoor pool and additional RV sites. Please visit Paradise Valley and help us grow. We welcome first time visitors.